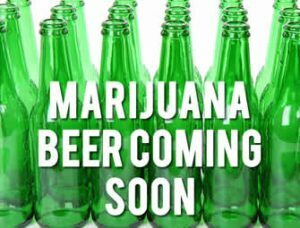 Marijuana Beer Coming Soon | Do you want to buy weed infused beer? Marijuana beer coming soon. North American alcohol broker invests in Canada’s legal cannabis. Major alcohol organizations support legalising cannabis across the US. But, it is difficult for them to invest with the federal government continuing to outlaw cannabis. So, some companies are getting in on the ground floor of Canada’s new cannabis industry. One of North America’s largest alcohol distribution companies, Breakthru Beverage Group is doing just that. It has signed a letter of intent with Canada’s CannTrust Holdings. A long trust name in cannabis, CannTrust holds a licence with the Canadian government. The company brings more than 40 years’ experience to the medical cannabis industry. Now it is ready to enter the recreational weed market once Canadian laws change on October 17. Breakthru Beverage Group is signing a deal with CannTrust. The deal is an exclusive agreement to distribute CannTrust’s recreational cannabis products. Breakthru will establish a subsidiary to market products to the Canadian market. A final agreement still needs signing and is subject to meeting clauses to close the deal. These depend on completing due diligence and approval from the Toronto Stock Exchange. CannTrust president Brad Rogers said that Breakthru fits their business strategy. It is the leading representative for the top alcohol brands in the country. With progressive strategies they have the infrastructure, sales technology and partnerships CannTrust needs. Breakthru vice chairman Danny Wirtz said it was exciting times. Working with the country’s top cannabis producer means Breakthru can help position them both as industry leaders. Wirtz said the partnership makes sense and is a natural progression to grow the business. CannTrust also recently signed distribution agreements with Ontario’s Cannabis Store. It will supply them with their three new recreational cannabis brands: Xscape, liiv and Synr.g. Rogers said Breakthru will buy 902,405 common shares in CannTrust with a value of $9.2 million at $10.23 a share. It also has the option to buy a further 2,000,000 common shares if CannTrust exceeds a certain level of sales. And, there is provision in the deal for discounts on share prices. The new cannabis business will become a subsidiary of Breakthru. The company intends to keep cannabis brokering separate from its alcohol business. But it will use the organisation’s technology, insights and analytic tools to position itself ahead of other companies. CannTrust has invested in cannabis innovation for new products and drinks due for release in 2019. The company has the technology to infuse beverages with cannabis that does not affect the taste or colour. Meanwhile in America, the Wine and Spirits Wholesalers of America (WSWA) supports cannabis. In a recently released a statement supports legalising cannabis. Established 75 years ago, WSWA said its new policy supports the rights of American states. But each state needs good regulatory framework for legal cannabis to work. The WSWA has a membership of around 400 companies across the US. It represents 80 percent of all alcohol sold in the country. The recent statement of support could be because it seeks to expand its product line. They learned firsthand from alcohol prohibition the benefits of supporting state legislation. It wants to see the end of illegal cannabis. States can do the same thing with cannabis they did with alcohol. Alcohol prohibition ended under individual state control. The WSWA believes the state-based alcohol system is one of the safest and best regulated markets in the world. So, the WSWA is positioning itself to be part of the pot market currently worth $8 billion a year. A minimum age limit set at 21 for people to buy, use and be in possession of pot. As well as fines for people caught supplying pot to underage people. Standards for driving under the influence of cannabis like those for alcohol. Product labelling that requires strength, dosage, health risks and restrictions of cannabis products. Licences for retailers, producers, distributors and processors of cannabis products. Policies for tax enforcement and collection that prevent cannabis diversion to other states. Similar regulations for days and times people can sell weed as for the sale of alcohol. Restrictions for using common carriers for delivery. Each state to set up independent agencies to oversee cannabis regulation. Advertising to discourage underage access to cannabis and to promote responsible legal use. Testing of all product formulas to ensure it they are pure and product consistency. Regulations for tracking all products back to the original producer or processor. Penalties for breaching pot licences like there are for alcohol licence holders. It is inevitable the federal government’s continued cannabis prohibition will end eventually. Prohibition does not work as is obvious wherever cannabis is illegal. Already US states are changing this. So far nine states have their own regulations to legalise cannabis.